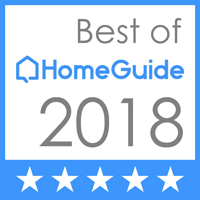 Professional Electric has won the Angie's List Super Service award year after year and was also awarded the Best of Crofton award in the Electrician category and also Best Electrician in Bowie by Readers Choice in the Bowie Blade-News (our 20th year in a row of winning this award). We can save you money on your electric bills and ensure your home or business meets or exceeds all electrical safety standards. you should have it checked by us. Do you have flickering lights in your home? This is caused by loose and burnt up connections, that are a fire hazard. We live in, work in, and care about our community!